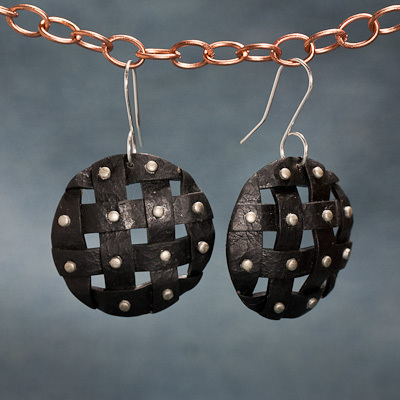 I fell in love with these woven leather shoes and decided I needed some tough, biker-style earrings to go with them. The earrings are all clay including the studs. They are about one and a half inches in diameter. I need to find a big, rusty chain to hang them from next time I photograph them. 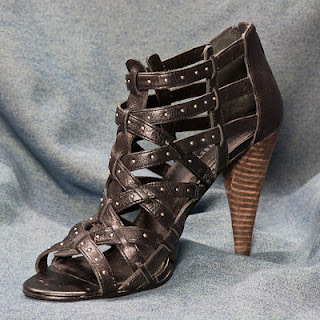 The inspiration, and yes, I do wear them. It took a long time to lay out the woven strips just right so that I could cut out a circle and not have any gaps in the outside edge. 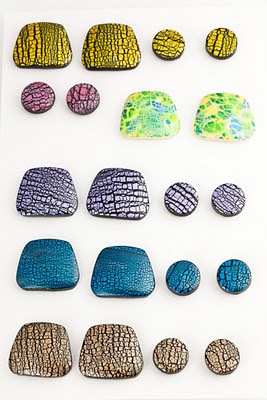 I haven't been blogging much, but I've been very busy with a lot of different projects including making a lot of earrings. Every 18 months, I rendezvous with 11 fabulous women all of whom were in my freshman dorm in college. We always have a blast and usually exchange small, inexpensive gifts, so this time I'm giving everyone earrings. They will get to choose from the ones shown in the photos. 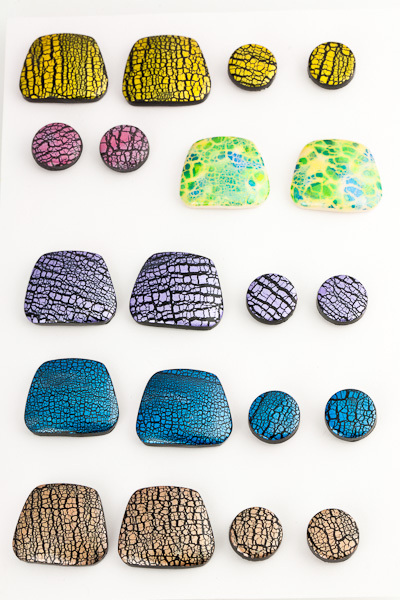 These are all post earrings, but I hope to make some dangles this week. I made these using a crackle technique: pearlescent paint on clay which is run through the pasta machine when dry. 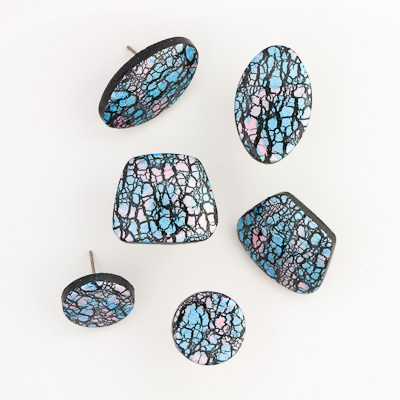 Although they look large in the photos, the trapezoidal earrings are about the size of a U.S. nickel. 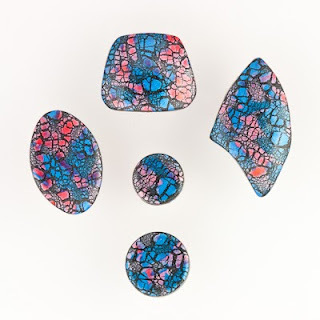 The small round ones are less than 1/2 inch in diameter (12.4mm).